It is Christmas morning. Come, let us adore Jesus. He is born to us – to you – to the weary, the broken, the lost, the fearful, the lonely, the poor, the needy, the weak. To any who recognize their need for a Savior, Jesus is born. Humbly He comes, offering Himself. He bears forgiving grace, enduring peace and unconditional love. The waiting is over. Christ has come. It is early. As with each year, I am awake, with coffee brewing, Christmas music playing, tree lit. Once again we are blessed to have our entire family here with us. 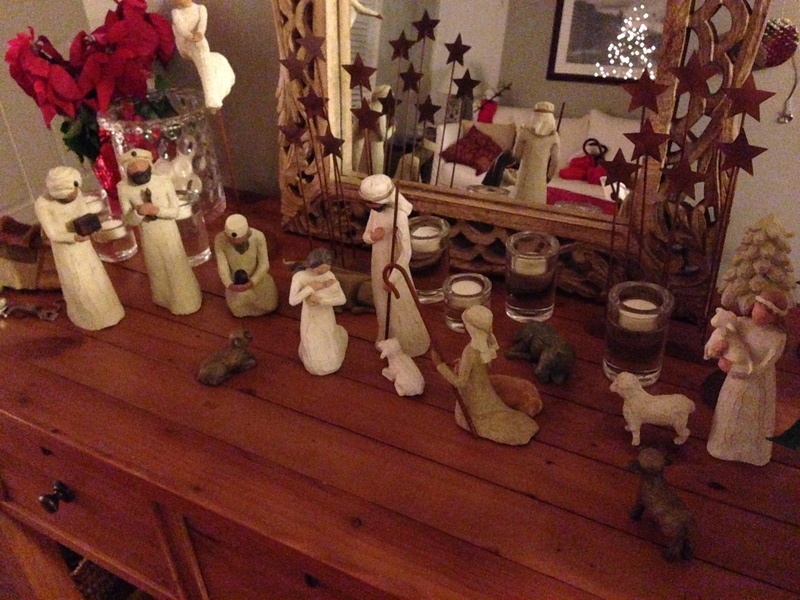 As the family sleeps, I am given a few moments to reflect on the fact that somewhere in the night, in a small town, to a young couple, God came, wrapped in flesh, a newborn. Angels rejoiced as heaven opened up to welcome His arrival to unnamed, lowly shepherds. Be encouraged. Jesus is born. Take heart. You are not invisible to God. In Jesus, God has come. Let us adore Him! He is our good news of great joy. You are currently reading Come, Let Us Adore Him! at unfinished1.